Having excess fat and skin underneath your chin is anything but fun as it can leave you feeling very self-conscious. The causes of a double chin can range anywhere from aging, genetics, and overall lifestyle habits, which is why it can be tough to avoid getting it at one point in your life. 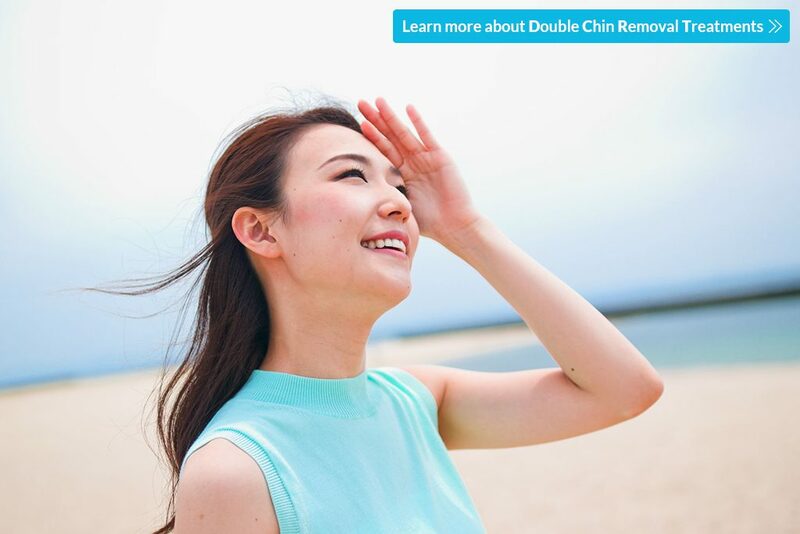 Regardless of why we get double chins or how they occur, we can be relieved as there are now safe procedures that can reduce stubborn double chins without surgery, ultimately restoring our confidence. Nowadays, stubborn fat under the chin can be safely removed by freezing them off with CoolMini, a safe and effective double chin removal treatment. Available in certified aesthetic clinics in Singapore, CoolMini is a specialized handpiece that is attached to the CoolSculpting device, a FDA-cleared non-surgical body contouring treatment that uses fat freezing technology to remove stubborn fat without harming the skin. The CoolMini works precisely to freeze that stubborn fat below the surface, targeting those tiny volumes of fat build-up and freezing it away. Once exposed to cooling, the fat cell dies naturally and will be metabolized by your body over time. The CoolMini procedure is specifically tailored to target fat below the chin and other smaller areas of the body such as the knee fat and bra fat. The great part about this procedure is that it’s non-invasive and doesn’t require any downtime so you can go back to your regular activities after your treatment. The Exilis Ultra is a non-invasive procedure that combines radiofrequency and ultrasound energy to reduce stubborn fat under the chin. This FDA-approved skin tightening treatment works by delivering controlled heat to the surface of the skin which melts and breaks down fat cell that is then discharged by the body’s lymphatic system. Over time, you will notice a reduction of double chin and a firmer and tighter skin. Exilis uses unique EFC™ (Energy Flow Control) which ensures every patient that only safe level of power is delivered to target fat without harming the skin. Exilis also has an advanced cooling feature which cools the skin to protect the skin while heat is delivered to the deeper layers. This simple procedure can take at least 60 minutes and it feels like a warm massage. It is recommended to do at least six to eight sessions of Exilis weekly to see good results. For some, the main cause of their double chin is sagging skin. Overtime, collagen production decreases resulting to laxity under the chin and around the jawline. Our collagen is extremely important to improve the overall condition of our skin. Considering it’s the most abundant protein we have within our bodies, it helps give our skin’s tissue the strength it needs to look and feel tight, youthful, and rejuvenated. The Ultherapy treatment is a safe option not only for double chin removal but also for facial lifting as it focuses on building up the skin’s collagen production without surgery. Ultherapy is a FDA-cleared procedure that uses the body’s natural responses to stimulate new collagen by targeting deeper layers of the skin with precise ultrasound energy. It works by bypassing the surface of the skin to deliver the right amount of ultrasound energy at the right depths and the right temperature. This energy triggers a natural response under the skin, jumpstarting the regenerative process that produces fresh, new collagen. The results are gradual yet natural as Ultherapy is clinically-proven to treat your double chin and provide a significant lift giving you a well-defined jawline. The full results can only be seen after three months as your body takes time to produce new collagen. Besides from treating the jawline, Ultherapy is also FDA approved and European CE marked for non-invasive sculpting and lifting of the upper face, neck and décolleté. What’s even great about Ultherapy is that it serves as a non-invasive face lift and does not involve any incision which means there is also no downtime after the procedure. Thanks to these safe and non-surgical procedures, getting rid of unattractive double chin is more attainable now than ever. But remember, a good treatment will always depend on the doctor who wields it. Make sure to consult a certified and experienced aesthetic doctor in Singapore to get the results you are looking for. If you’re ready to get rid of your double chin, contact Cutis Laser Clinics today and schedule a consultation with Dr. Sylvia Ramirez, our Harvard-trained and US Board Certified aesthetic doctor.